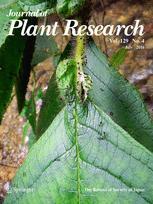 The Journal of Plant Research is an international journal dedicated to the dissemination of fundamental knowledge in all areas of plant sciences, including evolutionary biology, phylogeography, phylogeny, taxonomy, genetics, ecology, morphology, physiology, developmental biology, cell biology, molecular biology, biochemistry, biophysics, bioinformatics, and systems biology. In addition to these disciplines, the journal welcomes papers in interdisciplinary areas and in newly-developing areas of basic plant biology. The journal especially encourages publication of work carried out through unique approaches, and the reporting of unprecedented findings.